Pulceras by Merzci Pasalubong is the bracelet you can eat. 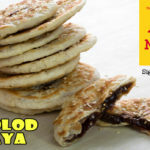 It is a simple Bacolod pasalubong snack that is greatly gratifying and actually quiet addicting. There are certain food items that do not look appealing at first glance. 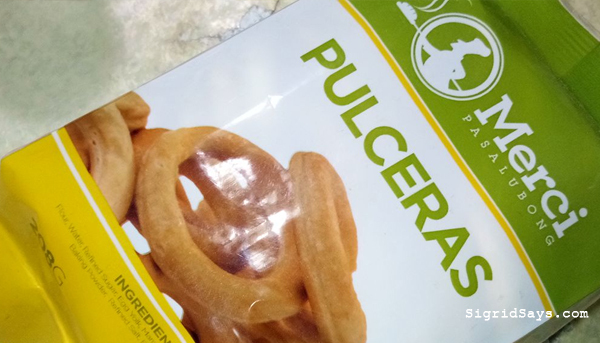 Such is the appearance of Pulceras, a flour-based snack item at Merzci Pasalubong. It can be a choice for a Bacolod pasalubong item but Bacolod locals buy this for their snack. Pulceras doesn’t look much. It is a brown ring of baked flour, which looks like a bangle for a little child, hence the name pulceras, which highly likely came from the Spanish term for bracelet. 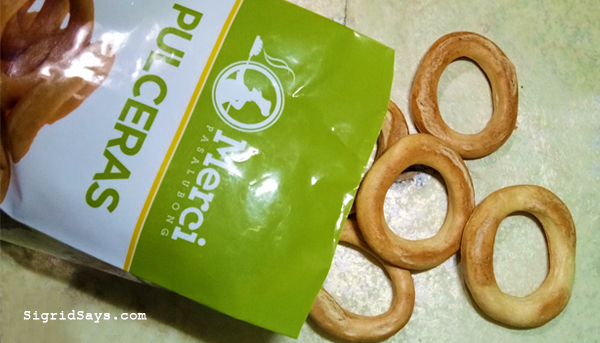 The pulceras by Merzci Pasalubong has very little sugar and is not coated with anything. But it was surprisingly addicting. I have a a sweet tooth, so I like snack items that are sweet. That is the reason why I am very fond of Merzci Pasalubong piaya and napoleones, as well as all their tarts. 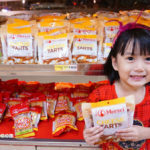 A pack of Merzci Pasalubong pulceras. When I opened a pack of Pulceras, I thought that it was another boring snack. But it wasn’t. It was crisp and had a certain pleasant taste that I found myself munching on and on. I just don’t think it would be good for those with dentures. A few years ago, Merzci staff has sent boxes of Merzci Pasalubong to the set of Kris TV as gifts. Among all the Bacolod pasalubong items sent to Ms. Kris Aquino, it was the pulceras that caught her attention. She actually liked it. Maybe she doesn’t have a sweet tooth or maybe she’s watching her diet. But the Queen of all Media was heard praising the pulceras. Bacolod City is sugarlandia, as the land teems with sugarcane plantations. We are also known for our sweetest desserts. It is not surprising then that we also have the sweetest Bacolod pasalubong products. But not everybody can appreciate sweet stuff. Some may be concerned with blood sugar levels while other just don’t like snacks that are so sweet. So for either of the two groups of people, bring them some pulceras. I think it will be greatly appreciated. Another good purpose for the pulceras is as teether for babies and toddlers. 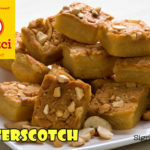 In the past, we grew up with toasted slabs of thick bread or stick bread, which was our snack that doubled as teethers. But as a mom, I think that the pulceras is better. It is hard but it is also smooth, so the child’s gums is less likely to get sliced. Pulceras is a nice teething snack for babies and toddlers. 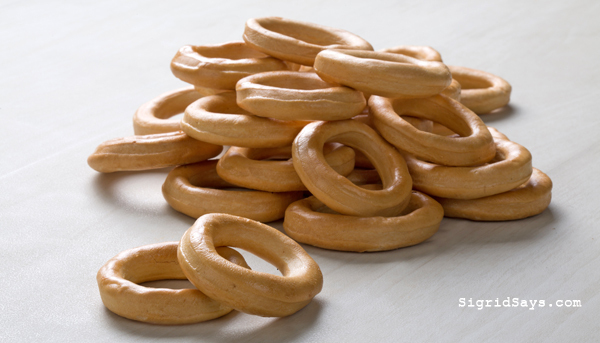 Buy your pulceras from any of the Merzci Pasalubong or Merzci Bakeshop branches in Bacolod nearest you! In Bacolod, visit the Merzci Pasalubong branch nearest you. Bring your recent air, land, or sea tickets and get a 10% discount on your purchase (except at the Bacolod-Silay Airport branch). Find Bacolod City on the map. This is very unique and cute! I would like to try this soon. I could definitely see my toddler enjoying These! She’s teething and would not only enjoy the taste of these, but also the relief from the pressure on her sensitive little gums.